Maya is dedicated to designing and researching innovative, culturally appropriate initiatives that advance the well-being of asylum seekers and minorities. She is particularly interested in the field of transcultural mental health and psychosocial support, with the goal of improving the access, equity and quality of mental health services for underserved ethnic and minority populations. Maya is currently pursuing a PhD at McGill University’s School of Social Work, under the supervision of Dr. Myriam Denov. Her doctoral research examines the effects of social and cultural factors on Eritrean refugees’ mental health with the goal of developing a novel cultural adaptation framework for working with Eritrean refugees. Maya believes that the most effective way to promote social change is by working within communities themselves. Maya has worked extensively in the psychosocial field in support of refugees and asylum seekers. Maya worked for two years as the research officer and coordinator of Empowerment & Resilience in Children Everywhere (ERICE), an Italian-Palestinian-Israeli research group working to promote the mental health of children and families. From 2010 to 2012, Maya served as founder and executive manager of The Refugee Voice, the first media source in Israel authored by and for African refugees and asylum seekers living in Israel, one that expresses their voice and speaks for them in their own language. With the support of The UN Refugee Agency, Ha’artez and dozens of volunteers, the newspaper’s printed and electronic editions have reached more than 150,000 readers in Israel and abroad, raising national and international awareness about refugee issues. Maya hopes to advance her most recent project, which aims to train refugee community health workers to deliver mental health psychosocial support within their communities. 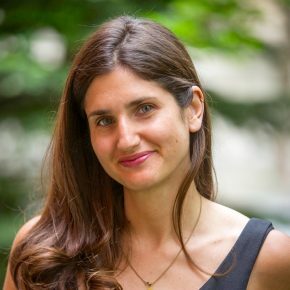 Maya holds a Master’s in Social Work (MSW) from Washington University and a Bachelor’s in Social Work from Tel Aviv University – both completed with honours.